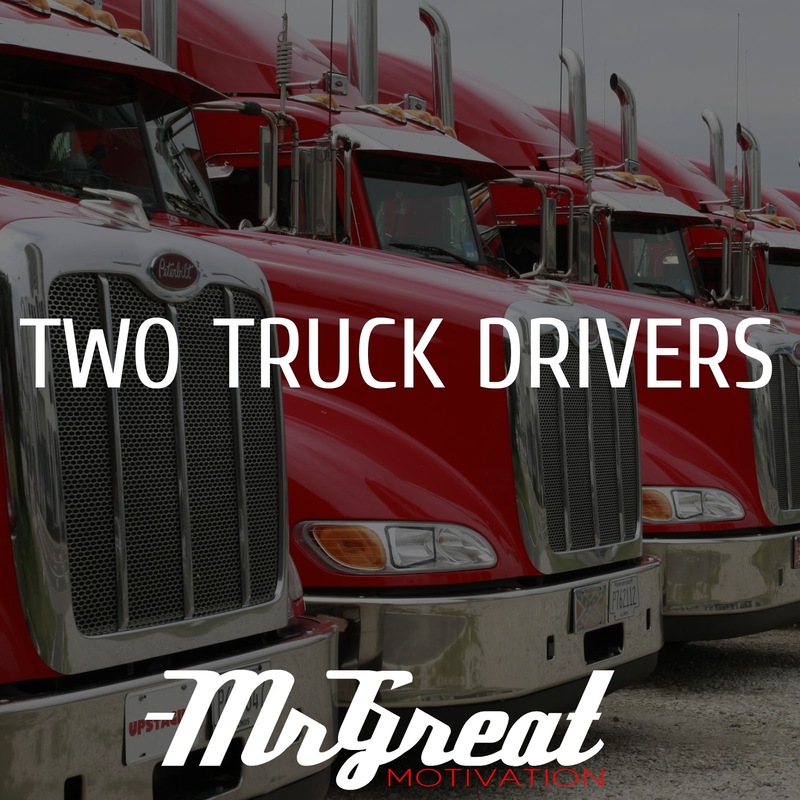 There was an older more experienced truck driver who had been all over the country in his career. One day, he had to train a new, much younger, inexperienced driver. The old one allowed the younger one to drive for awhile. The young one drove the big 18-wheeler for about five hours and became very tired and asked the trainer to take over for a while. The trainer drove for 10 hours and was not even tired as he had done this for years. The young man was flabbergasted and asked the old man how he could drive for hours and not get tired. The old man asked him, "What do you do in the morning just before you leave your house?" The young man replied, "I kiss my wife goodbye and tell her I am going to work." The old one said, "That is your problem." The young man asked, "What do you mean, problem?" The old man said, "When I leave in the morning, I kiss my wife goodbye, but I don't tell her I am going to work, I tell her I am going for a drive in the country." Everything is a matter of attitude.